This is one of those recipes that my friends and family members ask for a lot, but it is one of the simplest things I know how to make! 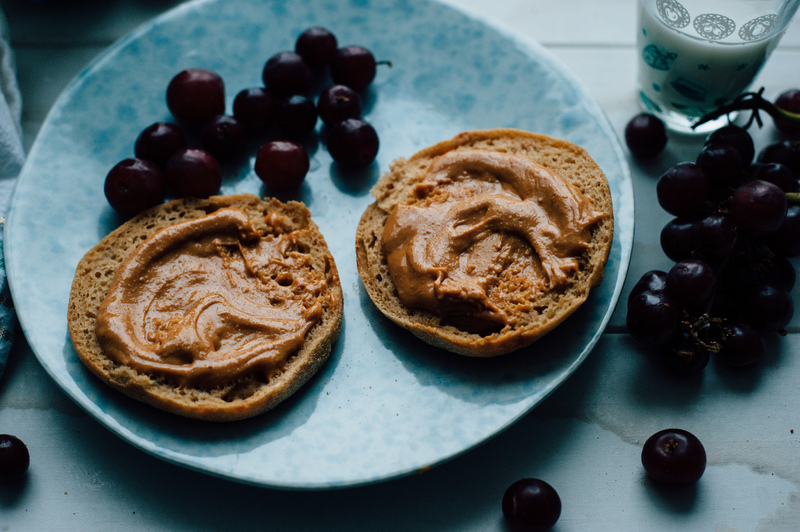 Once you start making your own peanut butter, you will be spoiled and there will be no turning back. I’ve been making my own for about two years. Not only does it taste better than the store-bought stuff, but it is cheaper, too! Plus, it is easy to customize: just add some cocoa powder and you have chocolate peanut butter! Add cinnamon or other spices for an extra special peanut butter. Sweeten it with anything you want: honey, agave nectar, maple syrup, sugar! It takes me five minutes and it is one of the easiest things I make every week. Here’s the kicker: you must have a food processor or a powerful blender to make it. If you don’t have a food processor, make it your top priority for your next kitchen purchase. Mine is indispensable – I can’t imagine not having one! 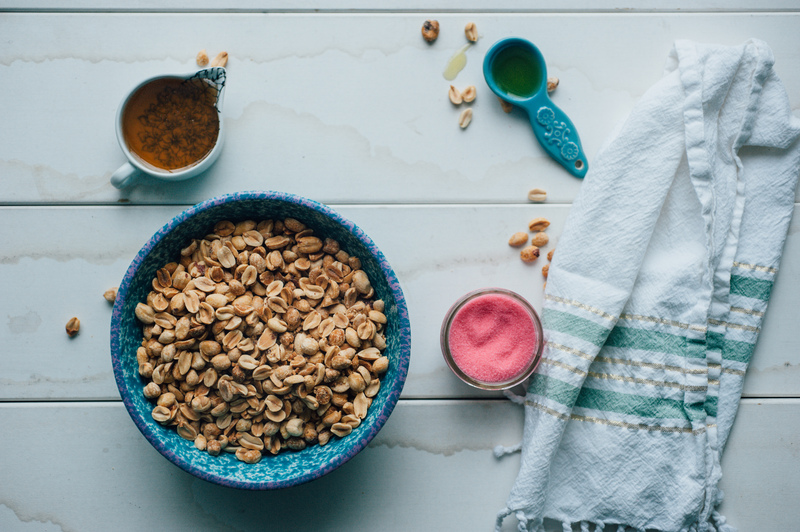 Put the peanuts, salt, and oil in the bowl of a food processor. Process for 5-8 minutes, or until peanuts have liquefied. This is key. 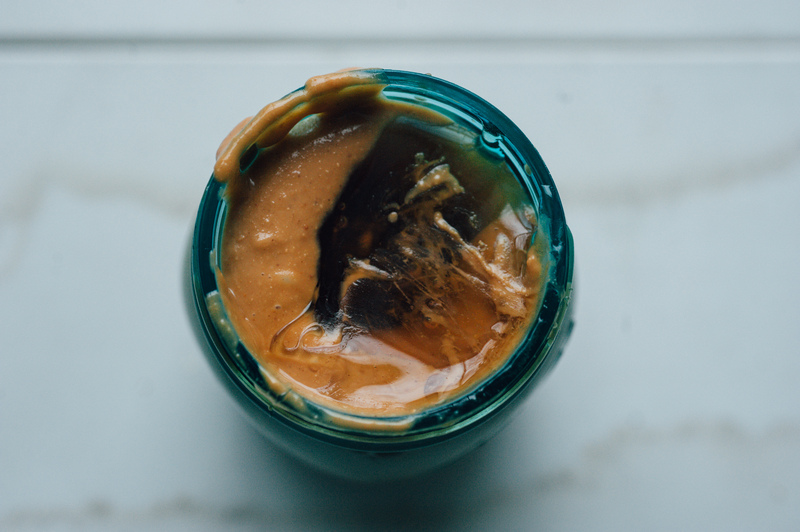 If you don’t process the peanuts long enough, you’ll end up with peanut butter paste. If you want chunky peanut butter, simply chop 1/2 cup of your peanuts and set them aside: you can mix them in later. 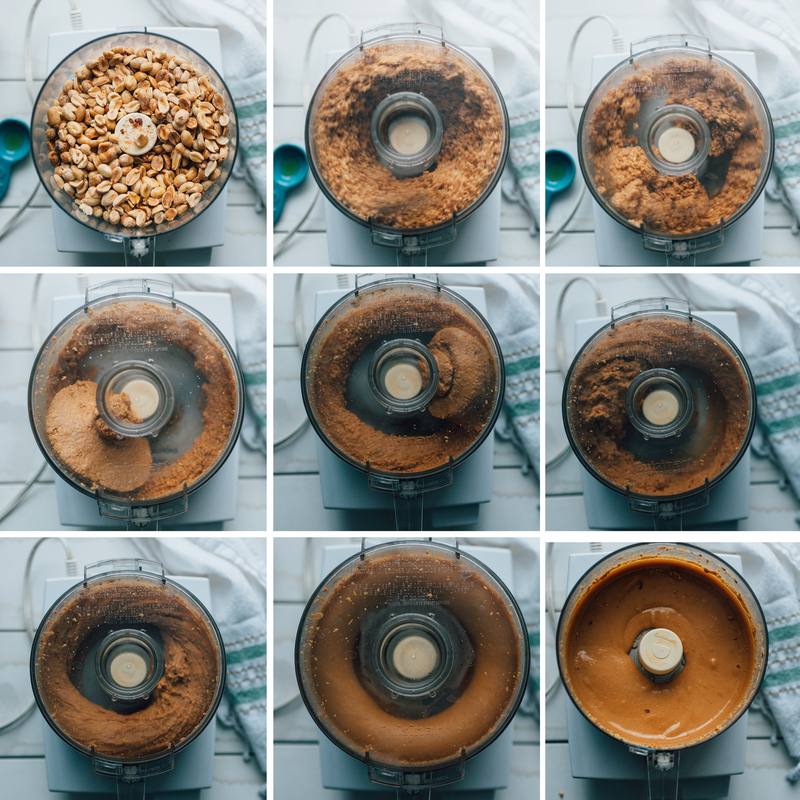 See the image below for the stages of peanut butter from whole, to it coming together into a sort of ball of peanut dough, to it spreading thin again and then turning into a chunky peanut puree, to it going for another few minutes after that until they are basically liquid. The liquefied peanut will mix in with your sweetener and come to room temperature in a few hours, so it will become more spreadable. Once your peanuts are sufficiently liquefied, pour your honey into a jar or whatever storage container you’re using, and mix in your sweetener! It is simple as that. You might we wondering why I didn’t add the honey to the food processor. It is because it changes the texture for some reason if the sweetener is coating the peanuts as they are breaking down. I don’t know why, but it makes a thicker, less spreadable peanut butter when you do it that way. And we like ours to be really spreadable. We don’t refrigerate ours because we eat it so quickly. However, if it is going to take you more than a couple of weeks to eat it all, you can refrigerate it. 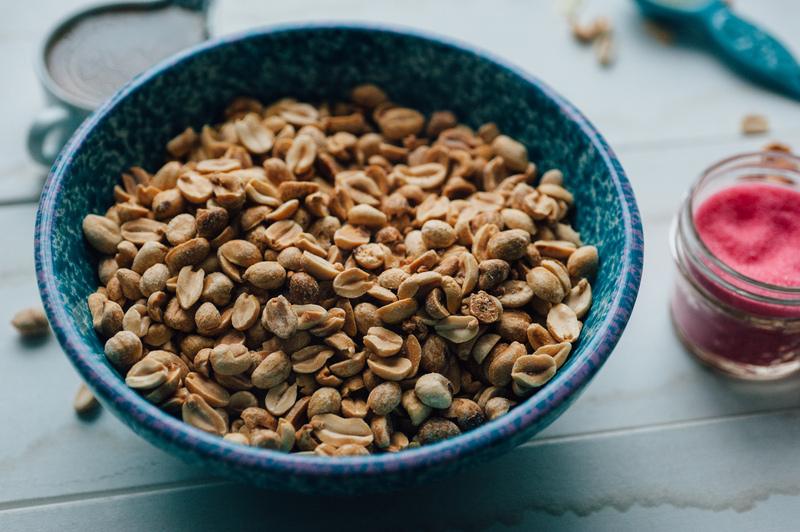 Also, if liquefying the peanuts makes it too thin for you, refrigerating it will help it have a more solid texture. Here it is, pre-honey. If you don’t sweeten it, it literally just tastes like liquid peanut, which isn’t necessarily bad, but kind of strange. I really, really love honey. 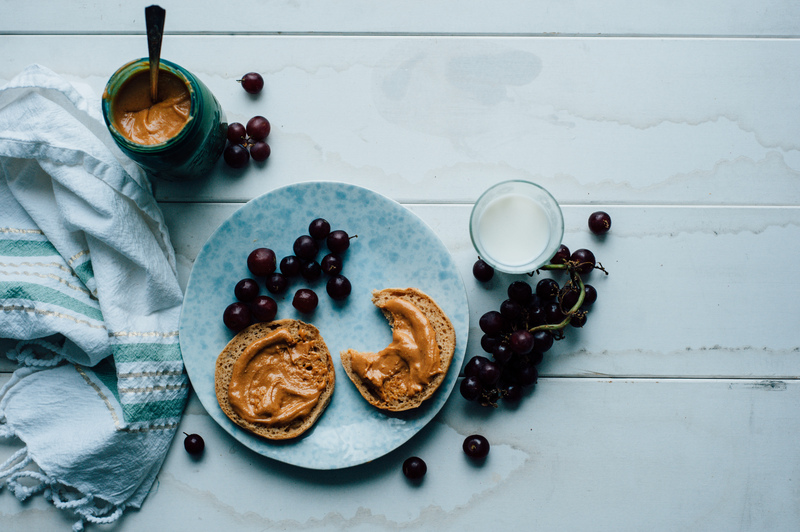 I have never made my peanut butter with anything else because it is just so divine! Very interesting recipe, and great pictures! This is awesome, Kelly. Really enjoy the taste. Could not taste the olive oil the next day, at all. Crunched the calories compared to the 200 cal per 2 tbsp of a store bought brand. Your rings in at a fabulous 67 cal per 2 tbsp. Yay!